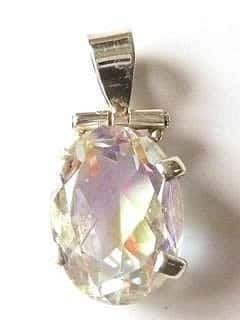 Really lovely, magical pendant. The stone is a quartz oval 18mm x 13mm with a lovely rainbow reflective effect. It is claw set in silver and sold on a FREE eighteen inch sterling silver chain.